Recently over Pesach composer/arranger Eli Klein met with Brazilian singer Micha Gamerman in São Paulo, Brazil. “We were sitting at the beach discussing music. The setting was so serene”, says Gamerman. It was then that the idea for the song Yihye B´seder (everything will be all right/ok) was created. 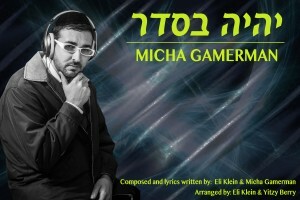 Presenting the newest single from Micha Gamerman, “Yehiyeh B’seder” in Hebrew and Tudo Bem in Portuguese. The result is a song that will bring the calm and joy of Brazil to everyone who hears it.